Eastover, located just southeast of Charlotte’s Uptown, formerly two dairy farms, (also formerly Myers Park Eastover), was developed by E. C. Griffith in 1927. In the Eastover Charlotte NC community, history abounds! This wonderful community is one of the most desired areas in Charlotte NC; the treescape in Eastover is simply breathtaking, especially in the spring when the pear trees that fill the community are in full bloom and in late summer when the crepe myrtles are full of colorful blooms. From the days of Earle Sumner Draper, the Southeastern US ‘premier’ urban planner to present day, Eastover has been the home of some of Charlotte’s most elite. From cotton brokers to bankers to attorneys, the facilitators of Charlotte’s growth have resided in Eastover. E.C. Griffith sought to create Eastover as a competitor to Myers Park. Charlotte NC was headquarters to 770 textile mills, consuming more cotton than any other sector of the world. In 1927, the Piedmont North and South Carolina, officially surpassed New England in cotton cloth production. Charlotteans not only owned numerous mills and brokered much of their own cotton for the region, but boasted a large number of bankers, attorneys, stockbrokers, and leading retailers. Griffith saw this elite, upper-income group as a potential market for a new suburb branching off of Myers Park, which was not completely developed at that time. E.C. Griffith made a name for himself as a successful local real estate developer and the company remains one of the oldest in the city, dealing now primarily in commercial real estate. Nearly 600 homes make up the Eastover neighborhood. This stately Charlotte luxury home community is filled with towering hardwoods, winding streets and amazing architecture. Eastover Elementary School is at the ‘heart’ of Eastover. Small businesses outline the neighborhood on the east and winding sidewalks provide easy access for Eastover residents. Early Eastover Charlotte NC architecture is primarily Georgian, mixed with Tudor, bungalow and Colonial. One home, the Reynolds-Gourmajenko House of Tuscan Revival architecture exists on Providence Road; no home like it exists in Charlotte or Mecklenburg County. As the commute to the city became a bit longer for suburbians, vacant lots quickly filled with new construction, many continuing with the Georgian theme. Older estates in the Eastover community are often renovated, keeping with the times, yet preserving the rich regal architecture of days gone by. The Mint Museum of Art, the first branch of the US Mint, was transported to Eastover in pieces from its original location in Uptown to a site donated by E.C. Griffith Company. Martin Boyer, who orchestrated the move, marked each and every stone before its move. The Civil Works Administration, one of Franklin Roosevelt’s New Deal Agencies, provided the labor to resurrect the building as the Mint Museum of Art in 1936. This was one of Charlotte’s first historic preservation operations. Since the late 1800’s, prosperous Charlotteans have enjoyed living on the fringe of the Uptown (formerly Downtown!) area and Eastover was one of the city’s first suburbs. Sometimes called ‘country homes,’ the Georgian homes in Eastover, Dilworth, Elizabeth and Myers Park were a mere 5¢ fare to Uptown Charlotte NC on the electric streetcar (1890’s). The more impressive suburbs tended to be south or east of town, in essence, due to the fact that the city’s only railroad bridges at the time, were on East Trade and East Morehead Streets. Dozens of trains blocked the tracks on a daily basis creating a blockade surrounding the business district. Eastover Charlotte NC, not only rich in history, is considered one of the city’s most sought-after neighborhoods where residents enjoy true neighborly relationships. Families who have resided in Eastover for generations are more than welcoming to newcomers moving to Charlotte from all over the U.S.
Visit Eastover Charlotte NC and savor a piece of history as you tour stately homes in this lovely neighborhood. For the most-up-to-date information on Eastover current home values, then we urge you to contact us. We can assist you with all aspects of buying or selling real property in this and other neighborhoods in the Charlotte Metro area. Also ask to be placed on an instant notification system when any new Eastover MLS listings come on the market or price reductions in Eastover are posted. The Maxwell House Group Real Estate can assist buyers in all forms of Charlotte relocation needs including new construction houses, condos, townhouses, for sale by owner homes, residential lots, townhomes, lofts, and new homes in various subdivisions across the Charlotte Metro region. If you are interested in foreclosure homes including pre-foreclosures, short sales, REO properties, bank owned properties and other types of foreclosure properties, then we can assist you. If you’re searching for Charlotte NC foreclosures in Eastover or neighboring communities, then we invite you to view the listings in this or any of the Charlotte popular subdivisions on our site. And if you’re searching for condos or townhomes for sale in the Charlotte area, feel free to browse our updated listings of Charlotte condos, townhouses, townhomes, lofts on our site.  Information on this page is based on information on single family homes for sale in Eastover subdivision in Charlotte NC per the Carolina Multiple Listing Services, Inc. and is deemed reliable but, not guaranteed.